Transform yourself and your business. Utilize your energy where it's actually needed. Create opportunities to innovate and facilitate growth. 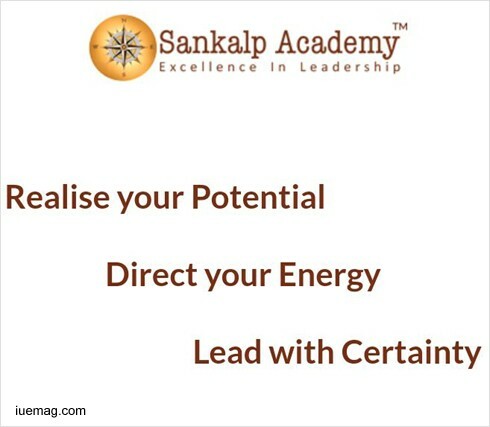 Bangalore, India: Be there to make most of your talents, experience the leader in you and transform yourself at Sankalp Academy's Conference, ReDirect, scheduled for 24th June, this year at the Lemon Tree Premier. One of a kind Conference, focusing on realizing your potential, leading your life and organization to success. Think of this as Google Maps. We use it to direct us to our destination. But what we love about the app is that if we by chance or deliberately step on a different path, it Reroutes us from exactly where we are, and not from our starting point! Similarly, Every organization starts off with a certain direction and goal in mind. However, Did you know, what becomes challenging is the need to ReDirect the organization in terms of its approach, growth strategy, marketing and innovation to reap greater results. ReDirect, the one day leadership conference, is structured in a way which will help you realize your potential, direct your ambitions and lead your life and organization to success. Here, you will be ReDirecting your energy into what is actually required to achieve organizational success. The 3 core concepts of Entrepreneurial Success as you know - Innovation, Communication and Experiential Learning is what you will learn to combine to create a dynamic and successful leadership team. Apart from this, the Conference provides you the opportunity to network and connect with experience- rich leaders, our speakers, Amit Punjabi, Nishant Kewalramani, BS Raveesh, Ravindra & Adithya Vasudevmurthy and other fellow participants from various fields and expertise. Cease the opportunity to connect and build your professional network and ever lasting opportunities.